Welcome to my website for health, nutrition, supplements and exercise. I have had a great interest in exercising since I was young. My Great Grandfather J P Muller (Jorgen Peter Muller) who wrote "My System" and other books in the series in the early 1900's was one of the pioneers of health and fitness for everybody and anybody. My interest in nutrition and supplements is from my time as a Director at The Academy of Systematic Kinesiology. Seeing how important nutrition is for our whole body and how people responded to it amazed me, also working in IT at the Oasis of Health clinic further highlighted to me how nearly all of us were lacking in one form of nutrition or another, and how lives can be turned around. The first thing that was apparent was how important quality is, and by taking and supplying nutrition from companies that make more than 600 quality tests to guarantee purity, potency and safety I know I am, and you are in good hands. The two go hand in hand, and as this site grows I will be exploring the My System series, and for high quality nutrition and supplements view the products on the shop page. From e9, a healthy energy drink with no sugar spikes to the Purify Kit to supply clinically formulated nutrition for the microbiome, we have it covered, including the introduction of Nutri-Pets range of nutrition and supplements for pets. Many people are gaining improved health by taking these products and noticing real changes. Read the reviews and testimonials and see where you may also benefit and improve your own health.The sports nutrition and supplements are excellent products, whether like me you train or exercise for an hour a week, or a competing athlete these are ideal to introduce into your regime. I have combo and multi packs available. The combo packs are nutrition or products that could be of further benefit taken together and multi packs to offer savings. If you are looking to buy in quantity, become a distributer yourself or wish to buy direct from the companies I distribute for there are links available on the company product pages. 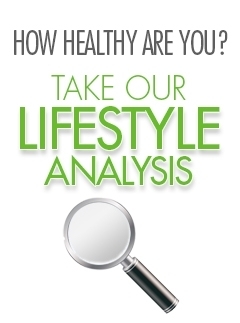 Have a scroll down and try the LifeStyle Analysis, it is amazing how accurate it can be. You will find articles and more below and if you have any questions or comments get in touch using the Contact Form or Facebook. "I have been on the e9 and ProArgi-9 Plus for about 3 months and the benefits I am getting from these products is wonderful. As well as having more energy now, they have also cleared up the light headedness I used to get, they have helped my asthma too, I am no longer using my inhaler as often as I used to and I am now able to have a more restful sleep. At the age of 85, this is wonderful." Sourced from mulberry leaves and alfalfa, Synergy's PhytoLife is a rich combination of chlorophyllin (sodium copper chlorophyllin) and peppermint oil. Incorporate Synergy's PhytoLife into your diet by mixing one teaspoon (5ml) with a glass of water, twice daily. "I was recommended by my sister to try the e9 and ProArgi-9 Plus, as she has been taking them for a while and has had great results from it. I have been on the e9 for almost 4 weeks and the ProArgi-9 Plus for just over a week and the effects I felt were almost instant. I look after my two young grandchildren and find I now have a lot more energy to keep up with them. Also, having had frozen shoulder last year and not fully recovered yet, I have found an improvement in my arm movement and less pain since being on the products." "Just tried e9 and it has changed my life as I was an avid energy drinker I use to get sugar crashes often as a result e9 is a healthy alternative to energy drink like lucozade and red bull as it provides a constant energy that slowly faded away similar to the energy you get from food and unlike caffeine energy drinks you do not get a crash and not only that e9 also has improved my mood and family and friends have said I am much more calmer and I highly recommend it to anyone who wants to have reliant energy thought out the day." Sourced from mulberry leaves and alfalfa, Synergy's PhytoLife is a rich combination of chlorophyllin (sodium copper chlorophyllin) and peppermint oil. ProArgi-9+ has been infused with more vitamins and minerals, making your dose of ProArgi-9+ that much more effective in your pursuit for optimal health. At Synergy, we are constantly looking to improve our products so that you can obtain the most health benefits possible each time you mix up one of our products. 1) ProArgi-9+ is one thousand times more powerful than any naturally occurring antioxidant in the body. L-arginine`s antioxidant properties support various body systems and may protect against heart disease, stroke, cancer, and diabetes, as well as slowing premature aging. 2) ProArgi-9+ offers wide-ranging cardiovascular support, including controlling blood pressure and plaque formation. Nitric oxide keeps arteries relaxed and pliable for normal blood pressure, preventing hypertension and angina. To see the other 20 benefits of ProArgi-9+ click on read more below. Developed by Nature’s Sunshine’s own team of health specialists, the Lifestyle Analysis is a quick and easy way to discover which of the body systems may be underperforming and in need of nutritional support, giving you the opportunity to restore balance to each system. Replace your breakfast or lunch with SLMsmart and supplements starting from £4.80 per day! One month supply. You get 2 tubs of SLMsmart which can reduce your daily caloric intake with SLMsmart’s Meal Replacement shake. The delicious shake plays the star role in the SLMsmart program. This innovative meal substitute supplies your body with the nutrients it needs to operate at its best while supporting your goal to lose kilos. You also get Body Prime which effectively prepares your body for any health regimen. With a significant amount of magnesium, it contributes to normal energy metabolism and valuable electrolyte balance. You get Synergy’s e9 energy formula which is powered by l-arginine and a blend of Vitamin B12 and B6, riboflavin, thiamin and pantothenic acid, each of which lends to a normal, energy-yielding metabolism. This flavourful mix also contains natural caffeine sources, including guarana seed and yerba mate extract. Every ingredient is safe and of the highest quality, providing you with a low-calorie boost when you need it most.